Having been seen for the first time at the Detroit Show in January, the stretched version of the five-seat Tiguan will be appearing at the Geneva Show next week. 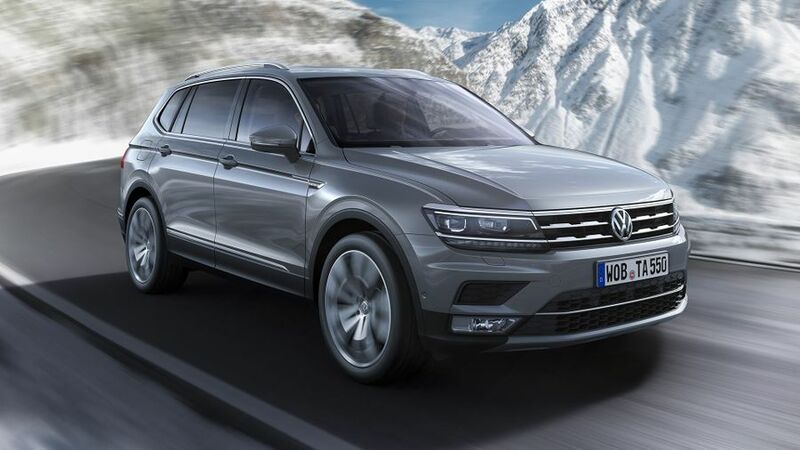 The Volkswagen Tiguan Allspace will be appearing for the first time in Europe at the Geneva Motor Show next week. 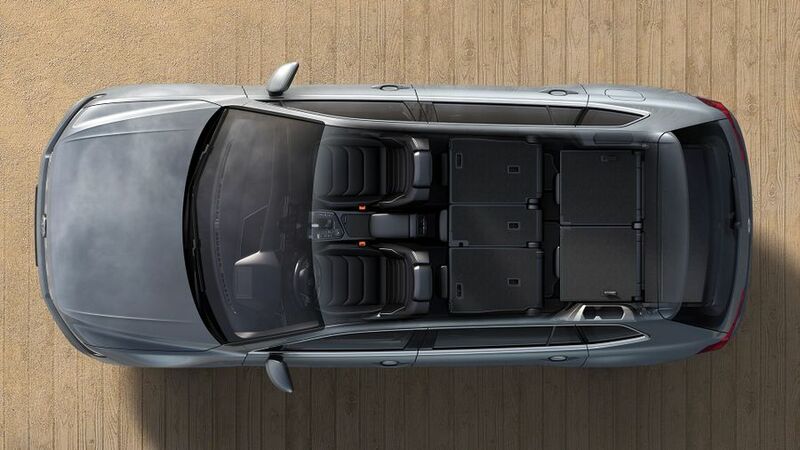 A little longer than the standard model, it provides more interior space and offers the option of up to seven seats. First seen in January at the Detroit Motor Show, the new Allspace bridges the gap between the current Tiguan and the Touareg, giving buyers the option of a seven-seat car, but without having to buy something as large or as expensive as the Touareg. To look at, the Allspace stands out from the regular Tiguan thanks to its unique bonnet, grille and grey underbody protection. However, like the five-seat Tiguan, the Allspace is also available as an option with a revised front end designed to improve its off-road ability. In profile, the 109mm-longer wheelbase and larger rear doors of the Allspace are obvious, while that extra size translates into more passenger- and boot-space over the standard Tiguan. Passengers in the second row have up to 54mm more leg-room, and, in five-seat mode with the second row of seats pushed right forward, the Allspace has an extra 145 litres’ capacity over the regular Tiguan. Even if you choose the optional third row of seats, there is still well over 200 litres of boot space behind them when they're upright. And, when those seats aren’t needed, they fold away flat into the floor. The Allspace also has more standard equipment than its smaller sibling, and offers a choice of six (all turbocharged) engines. The power outputs of the three petrol engines range from 148- to 217bhp, while the three diesels run from 148- to 237bhp. Four-wheel drive is available with all but the two least powerful engines, and this comes with ‘4Motion Active Control’. Operated by a switch on the centre console, this allows the driver to choose between four different driving modes, covering both on- and off-road use. As yet, VW is yet to confirm the precise specification of the models to be sold in the UK, but we expect the Allspace to go on sale in December, with prices starting from about £27,500. Interested in buying a Volkswagen Tiguan?